Teacher Ping earned her BA in education and early childhood development in Taiwan. She was a preschool teacher before. 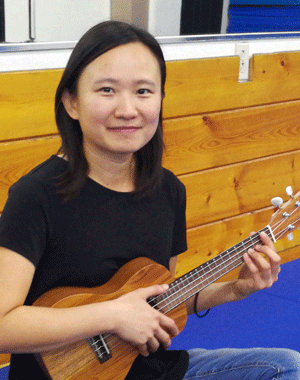 Ping loves engaging children through music and movement and enjoyed taking her own children to Music Together® classes for 3 years. She fell in love with the Music Together program and amazed to watch her sons develop their rhythmic and melodic abilities as a result of the rich musical experience of the class.